With school holidays just around the corner, Adventures in Zambezia is sure to be one of the top films to take your children to. 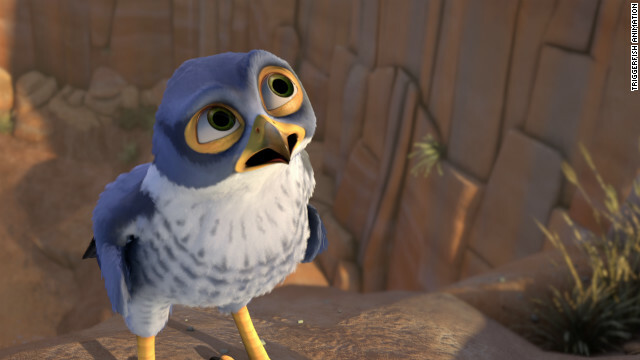 Kai ( voiced by Jeremy Suarez) is a young falcon who lives a very sheltered life under the guidance of his father, Tendai (Samuel L. Jackson). Kai by chance meets some birds who are on their way to the bird paradise on the edge of Victoria Falls, Zambezia. As he has always longed for adventure and to travel outside his boundaries, Kai takes flight to Zambezia after a row with his father. 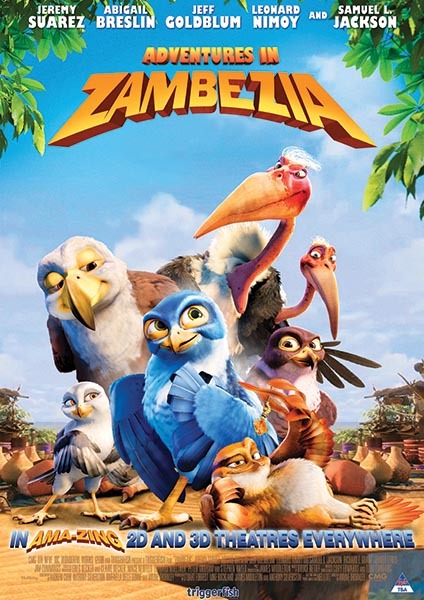 It is here in Zambezia that Kai discovers that his father has been keeping more from him than he ever realised when he meets Sekhuru (Leonard Nimoy) and his daughter, Zoe (Abigail Breslin), who holds a very special link to his parents. 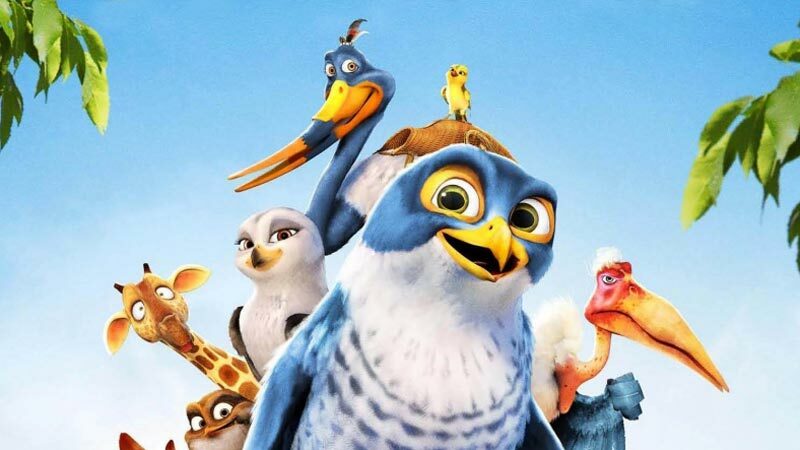 Adventures in Zambezia is perhaps one of those animated films which is more of a children’s animation than an animation for those of all ages. It is a very simple film with a slightly lifeless script and predictable storyline. It is easy to understand and follow for children, although just dull for adults. Yet as the school holidays approach and parents look for something to do with their children for a few hours, Adventures in Zambezia may just do that. However, to say that the film is completely boring for adults is not true. The creation of Zambezia itself is quite fun. It is set out to resemble what visions the word “paradise” conjures up for people, which is basically that of a tropical island resort. There is an airport style landing port with Customs to get into Zambezia, hotel-style accommodation for birds, tour guides that give day and night tours and gossipy and flamboyant hairdressers. It almost makes you crave a holiday at such a place…but for humans. There are some spectacular animated moments that deem the film watchable. In particular, the recreation of Victoria Falls is awe inspiring and the African desert landscape is incredible. There is incredible use of colour throughout the film for both the scenery and for all the characters. The characters themselves are fairly likable, but don’t stick with you for too long. In other words, they are not particularly memorable. The Marabou Storks steal the show with their comedic conversations with one another. Adventures in Zambezia is one of those films that serves its purpose, without pushing its boundaries a great deal. A great film for the school holidays.